The summers down here in Georgia can get pretty warm, and when things start to heat up outside, you want to be sure that when you go to lower the temperature on your home's thermostat, your air conditioning system is going to start right up and begin cooling your home. Unfortunately, there are many homeowners out there who go to set their thermostat only to find that it either doesn't come on, or it isn't providing them with the level of comfort that they and their family need. Here at Mobley Heating & Air, our air conditioning company offer a full line of quality air conditioning services to ensure you and your family are able to stay cool and comfortable inside your home this spring and summer. 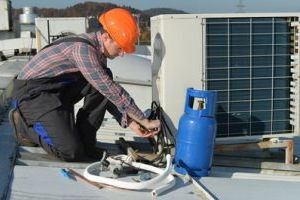 If you are in the market for a new air conditioning installation, whether you are installing the first unit on your brand new home, or you are replacing your old unit that has just reached the end of its lifespan, you want to make sure that the team of professionals you have helping you with the task are fully licensed and have the kind of skill and experience needed to ensure your new installation is a complete success. Here at Mobley Heating & Air, you can rest assured that your new air conditioning installation is going to be done correctly the first time through, setting you up for many years of quality comfort in your home. 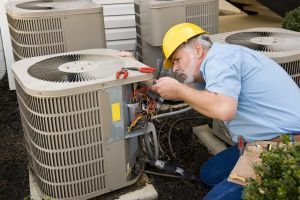 Like any other complicated mechanical device, your air conditioning system is going to experience hiccups and malfunctions from time to time, and when it does, you want to be sure that you invest in the quality air conditioning repairs you need as soon as possible before any of those issues manage to cause more damage to your system as a whole. Even the smallest issues, if left unattended to, can result in massive damage to your home's air conditioning system over time, and might even cause it to break down completely. Don't take chances with your air conditioning, give our team of local air conditioning and heating experts a call today and let us give your system the repairs it needs to keep running its best. Regular tune-ups for your air conditioning system are an important part of keeping your system healthy and functioning efficiently year after year. 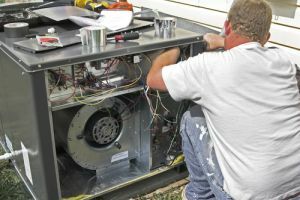 During the course of your professional air conditioning tune-up, our team of experts will go through your system, clean it out, and make sure that any small issues that might be present are fully resolved before they have a chance to inflict any lasting damage on your system as a whole. By having this done at least once a year, you can help to maximize your system's lifespan and keep it running its best year after year. 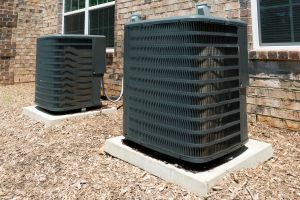 During the hot summer months, your air conditioning system is likely going to be running almost nonstop, and with all of that extra work comes a great deal of additional strain. With all of the additional strain on your system, system malfunctions and breakdowns become a possibility, and when that happens, you might not have time to wait for a open appointment to resolve the issue. For this reason, we here at Mobley Heating & Air offer a full line of emergency AC services to get your system back up and running as quickly as possible so you and your family aren't forced to sit baking in a home that has become an oven. 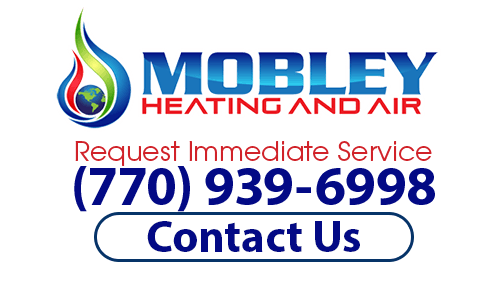 If you are looking for a trusted Air Conditioning Service provider, then please call Mobley Heating And Air at (770) 939-6998 or complete our online request form.